We’re making some exciting changes to our platform this year that we would like to share with you! 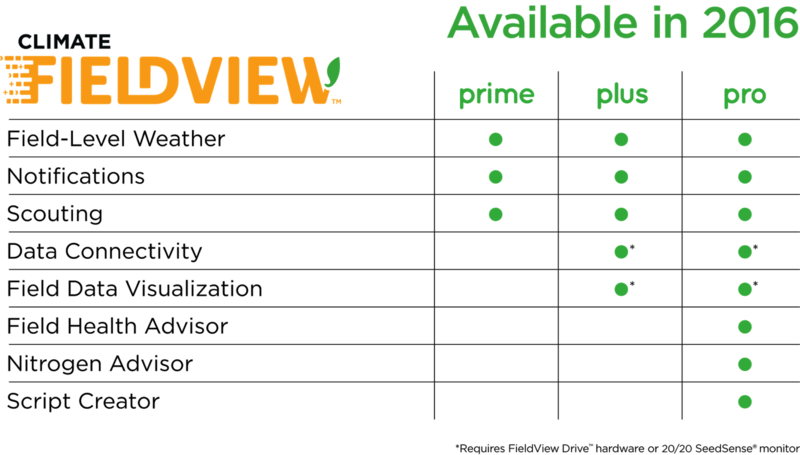 For the 2016 season, The Climate Corporation is bringing together the best of Climate Basic™, Climate Pro™ and Precision Planting’s FieldView® into one platform with tiered offerings that help you optimize resources and maximize yield. By using real-time and historical crop and weather data, Climate FieldView delivers customized insights that help you make important operating decisions with confidence. Climate FieldView Prime™ (formerly Climate Basic) provides simple tools for timely decision making. Climate FieldView Plus™ (formerly FieldView Plus) provides seamless data integration for a deeper understanding of your fields. Climate FieldView Pro™ (formerly Climate Pro) remains our premium offering and provides field-level agronomic insights driven by data science. 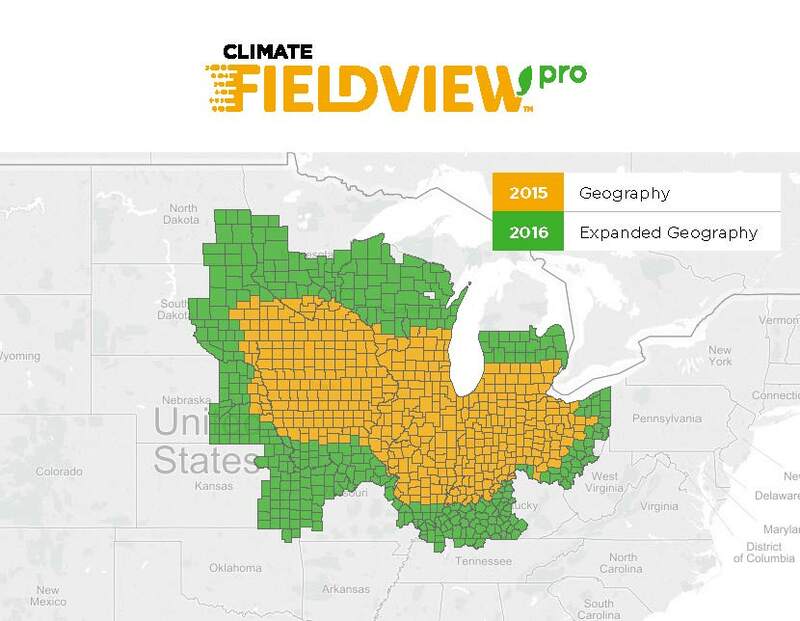 For the 2016 season, we are happy to announce that we have expanded the Climate FieldView geography from 2015. First-time Climate FieldView Pro customers can receive up to 120 acres of the service for free. 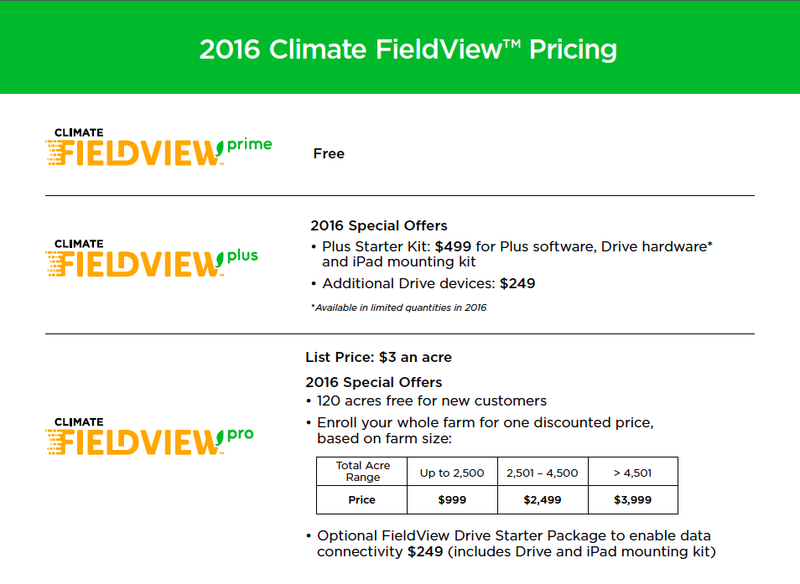 This first-time customer offer applies to farmers who have a Climate FieldView Prime account but had no Climate Pro acres in 2015. The Climate FieldView product will launch on October 1, 2015. 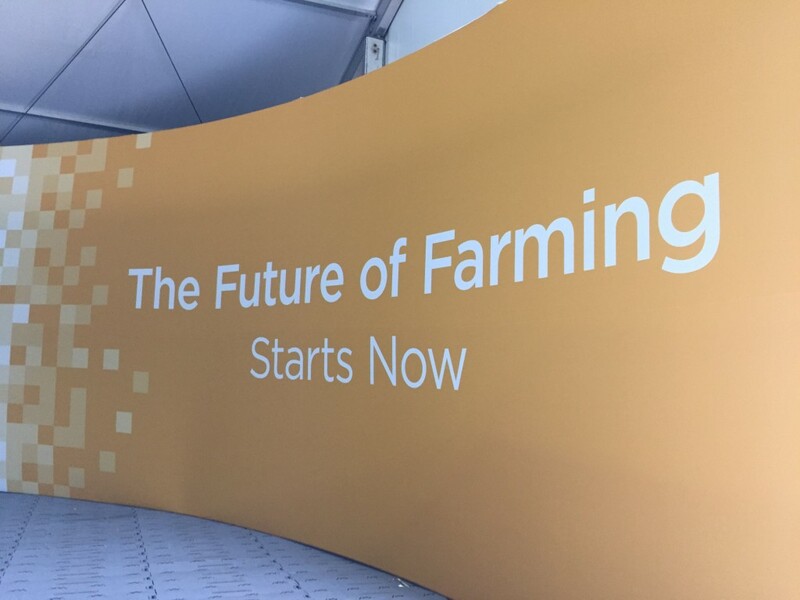 Please check our website for additional details regarding the Climate FieldView Platform over the next month as we gear up for a successful 2016 year!